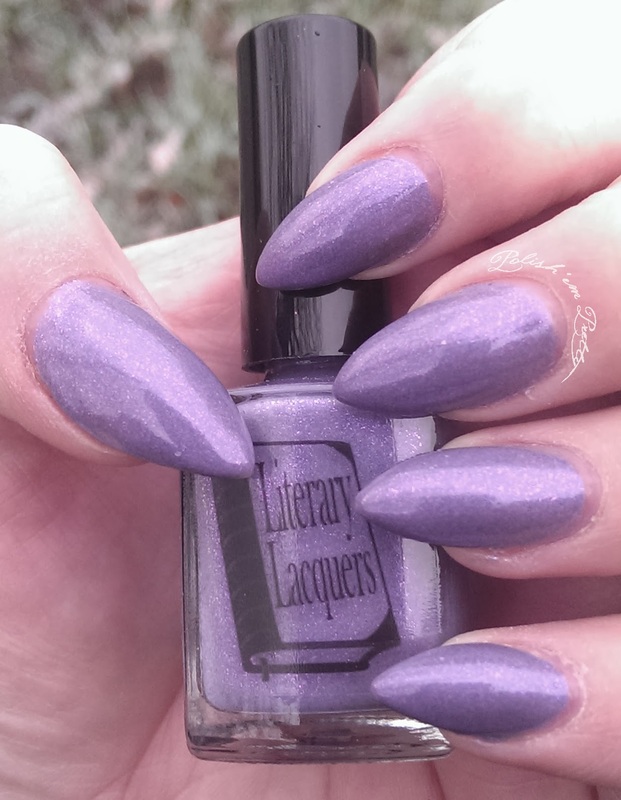 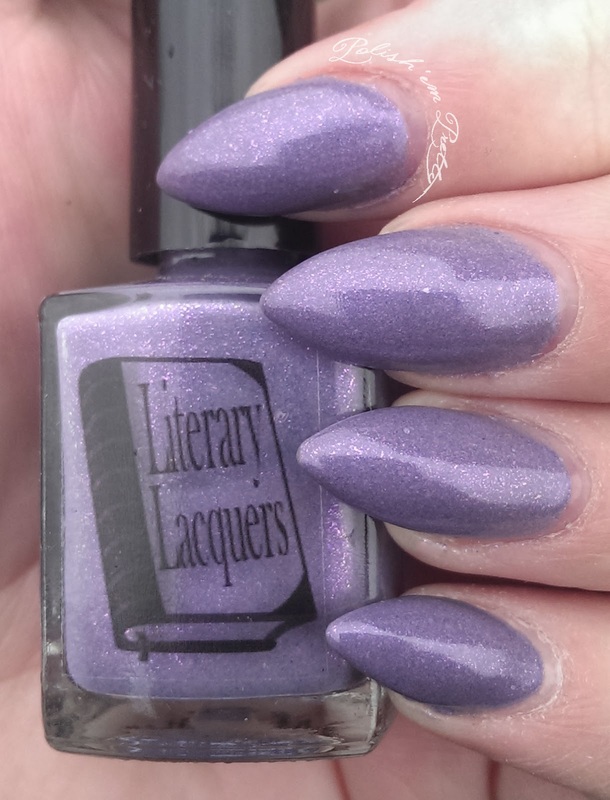 Today I have another Literary Lacquers polish to show you! 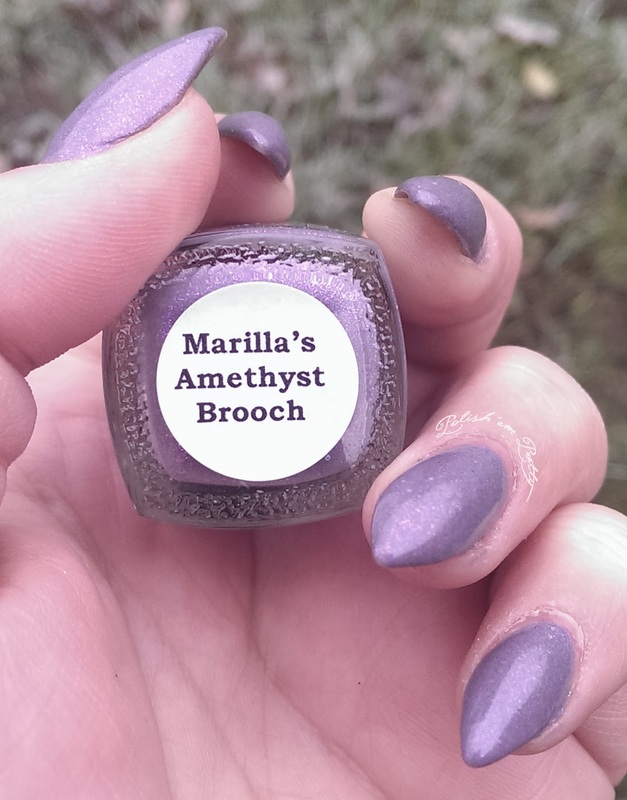 Marilla's Amethyst Brooch is a light purple shimmer with a pink to orange color-shifting flash from the Anne of Green Gables collection. 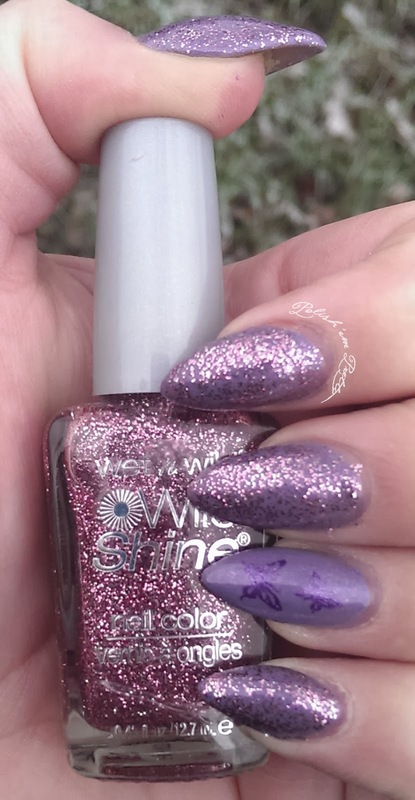 This polish is very pretty and gives a very sweet and feminine look. 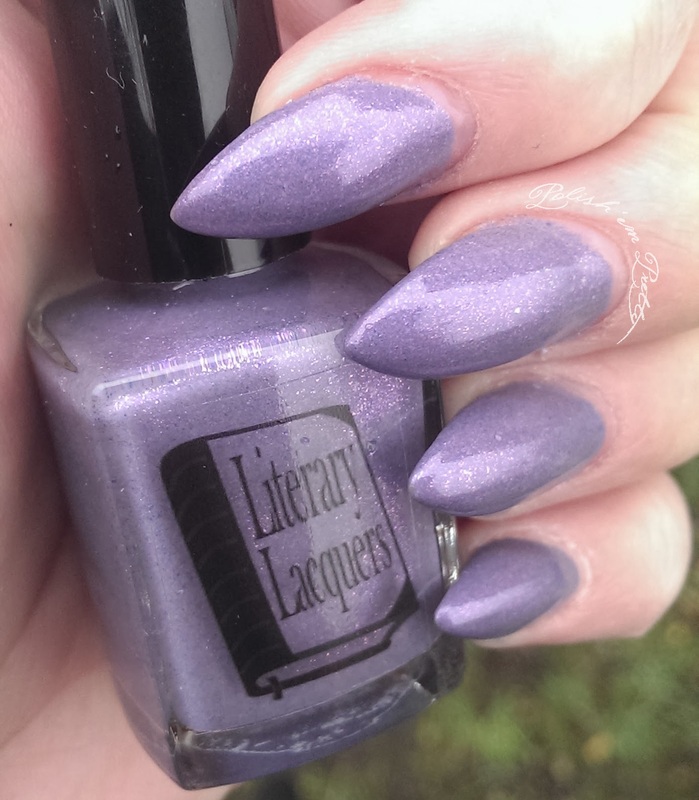 It took 3 coats to get opaque, but it dries fairly quickly and the formula is great to work with, so I didn't mind using 3 layers. 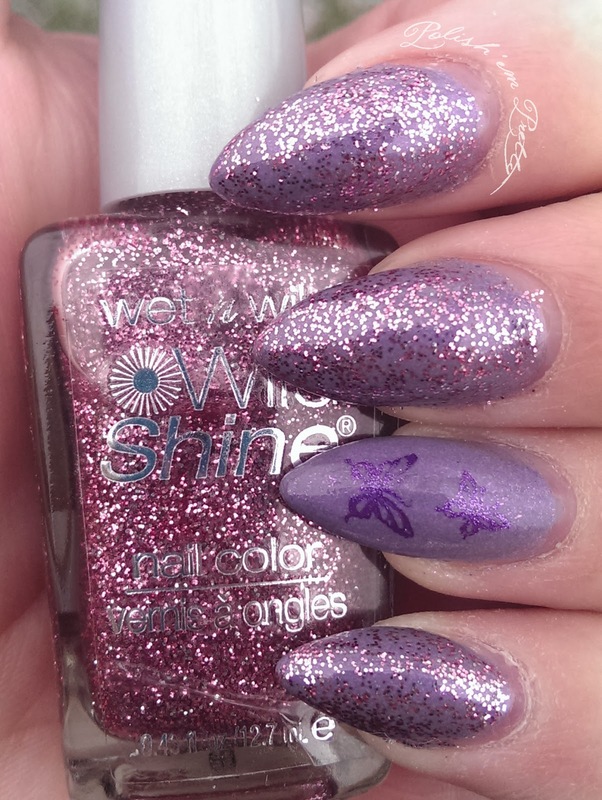 Unfortunately I didn't catch the shimmer very well in the photos. 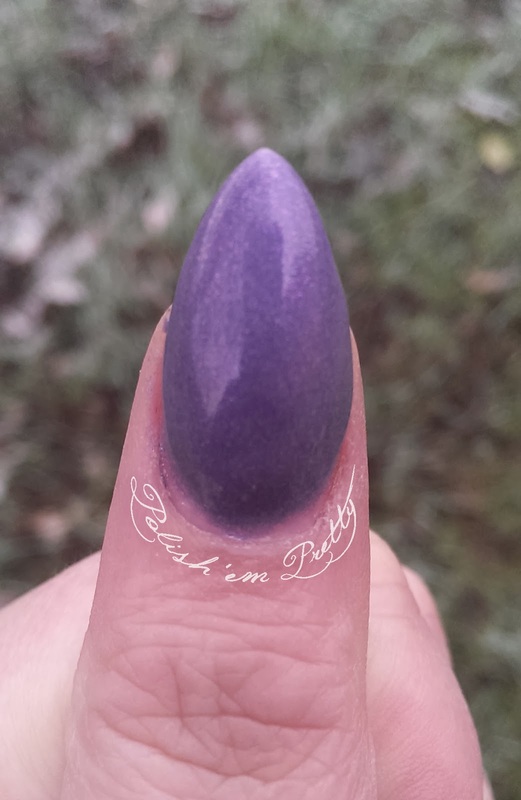 You can see a bit of the pink, but not really the orange, but in reality it looks more obvious. 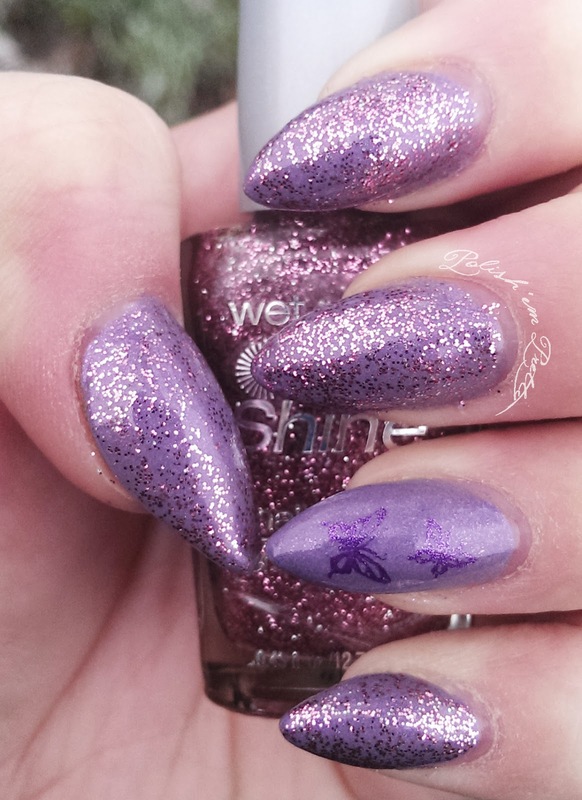 I thought it needed a little something so I decided to add some glitter and make an accent nail with some stamping. 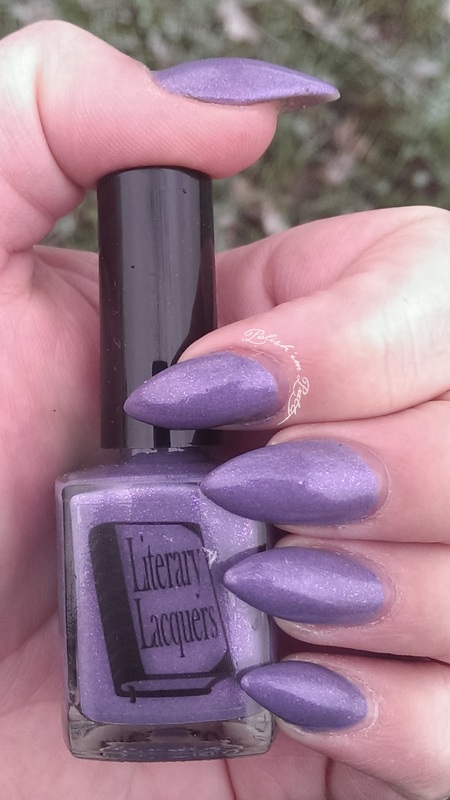 I think it looks kinda cute.